Today is National Cat Day believe it or not. We tried very hard to resist our cat posting impulses, but to no avail. 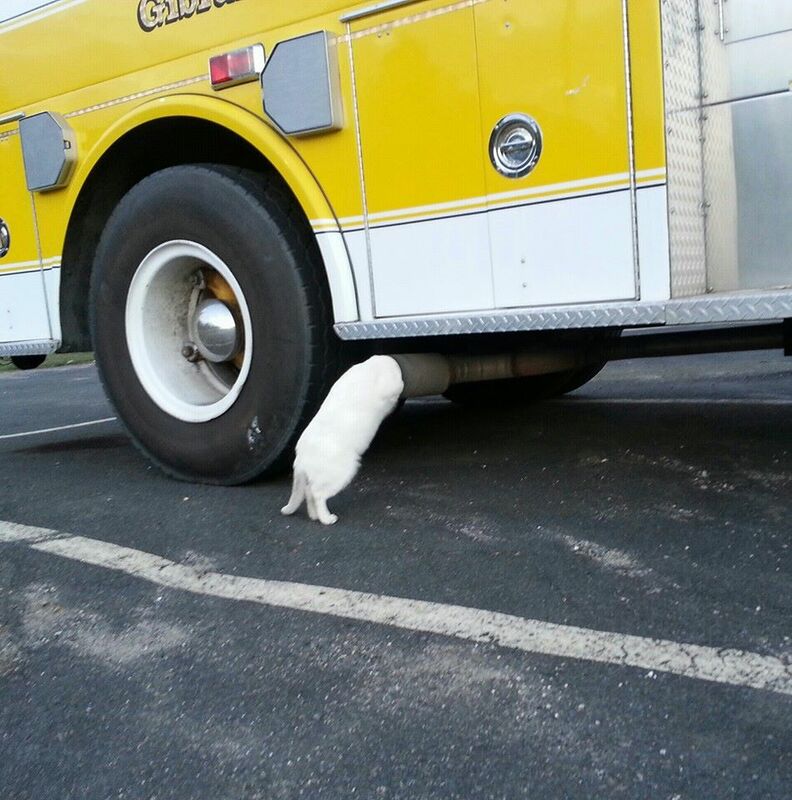 Especially because you simply need to see this hilarious photo of our cat in our parking lot in our recently donated fire truck (more about that). What are you doing?! What does he think he is going to find in there? No worries folks, this truck is not currently running, so no harm can come to this silly little feline.